Buy tickets from Symphony Hall Box Office. This is in the same building that houses the ICC. On entering the ICC through the main entrance on Centenary Square the Box Office is to your right. When you get here, you’ll find parking’s a walk in the park thanks to the thousands of spaces near to the venue. 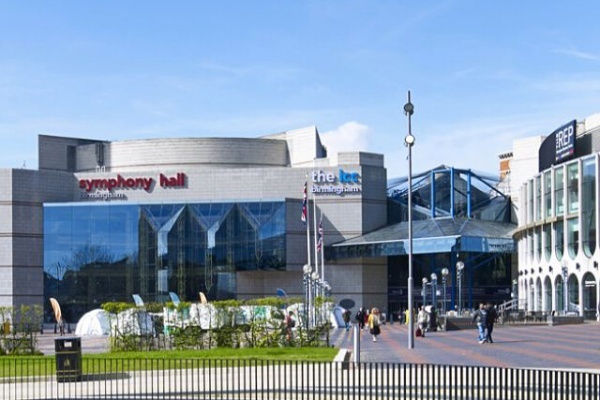 The closest spaces are at our sister venue Arena Birmingham (King Edward’s Road, B1 2AA). You can reserve your space in advance to save you the hassle of paying when you arrive. Mobile payments can be made via www.parkjockey.com/pay and quote location code 5020. Additional spaces are available in the Q-Park Brindleyplace (1 Brunswick Street, B1 2JF); the Paradise Circus multi-storey car park (B1 2NB); and the Cambridge Street car parks. If you require a wheelchair position (subject to availability) please call the Symphony Hall Box Office on 0121 780 4949.